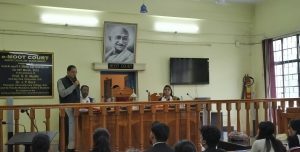 A day-long workshop was organized by University Law College(ULC), Gauhati University on “Moot court Technique” in its moot court hall on Thursday. The event was graced by former Justice of Gauhati High Court and senior advocate of Supreme Court Biplab Kr. Sharma as the chief guest. The special focus of the workshop was on ‘Preparation for Moot Court’. The programme began with introduction and welcome address by Principal of ULC, Dr. J.P Borah. 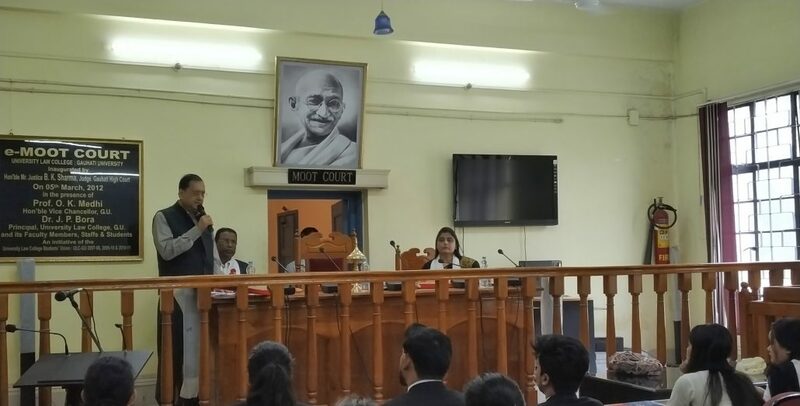 Speaking on the occasion, Sharma enlightened the students regarding basic of moot court whereas in the second session main emphasis was on application aspect. He also shredded light on the career prospects for law students ranging from corporate sectors, banking to litigation. He also shared his personal experiences and exhorted the students to imbibe the essence of integrity, perseverance and honesty to climb the ladders of success. 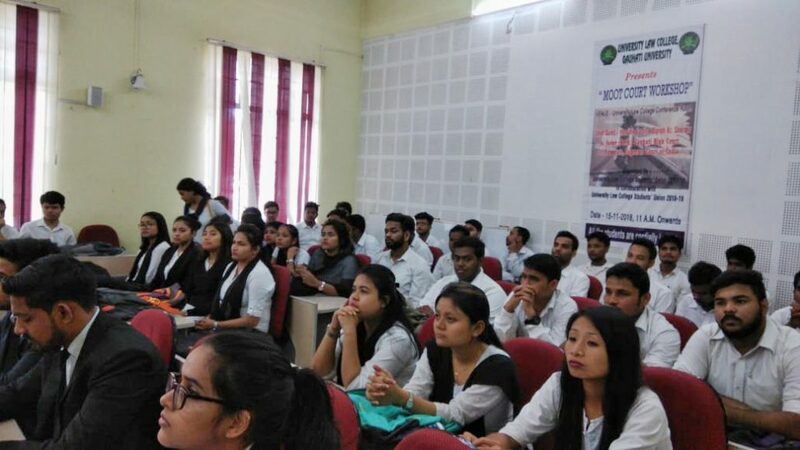 The event, held under the aegis of ULC students’ union 2017-18 in collaboration with ULC students’ union 18-19, was also attended by professor of ULC, Kavita Jain; general secretary of ULC Students’ Union, Biplab Baruah, who earlier feted Biplab Kr. Sharma with a bihuwan, Japi and Xorai. An interactive session was also held where the students raised their queries.